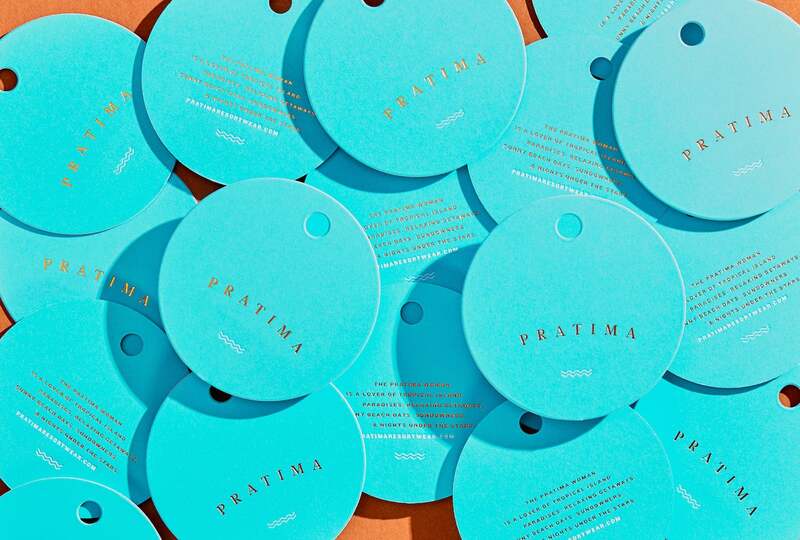 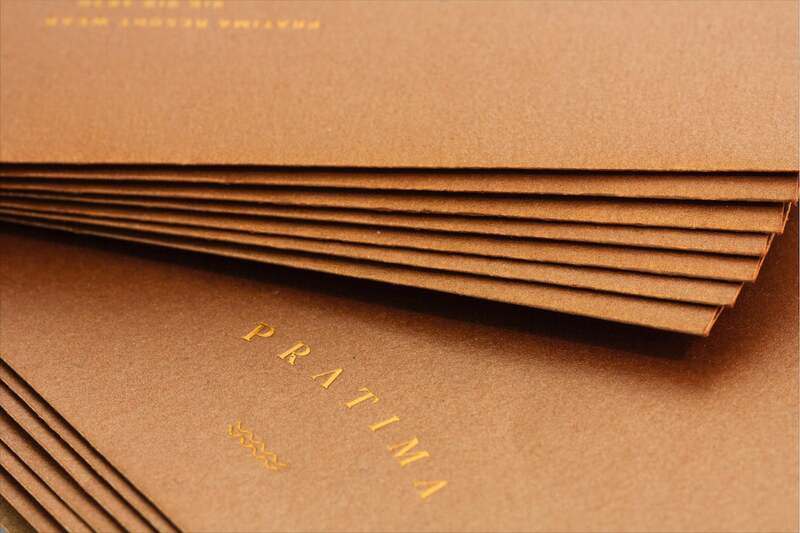 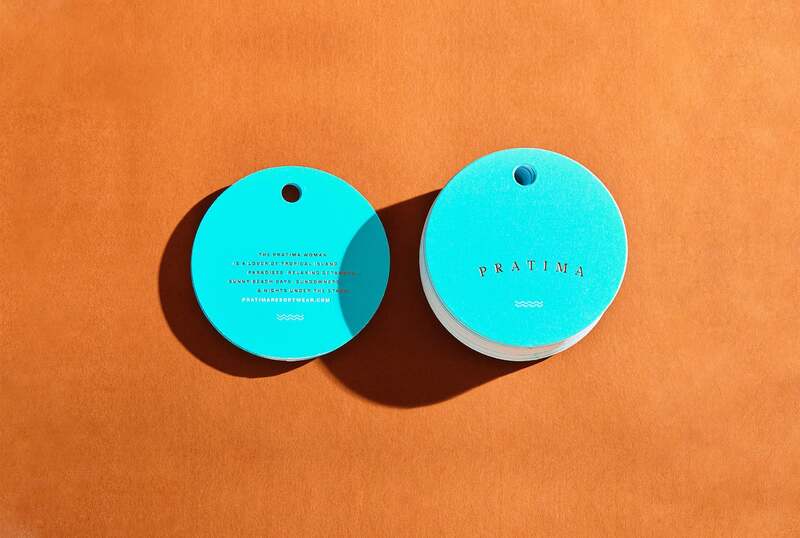 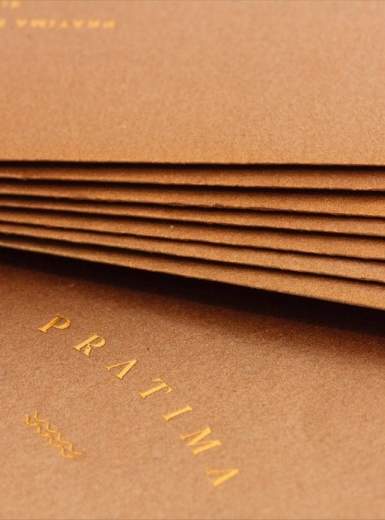 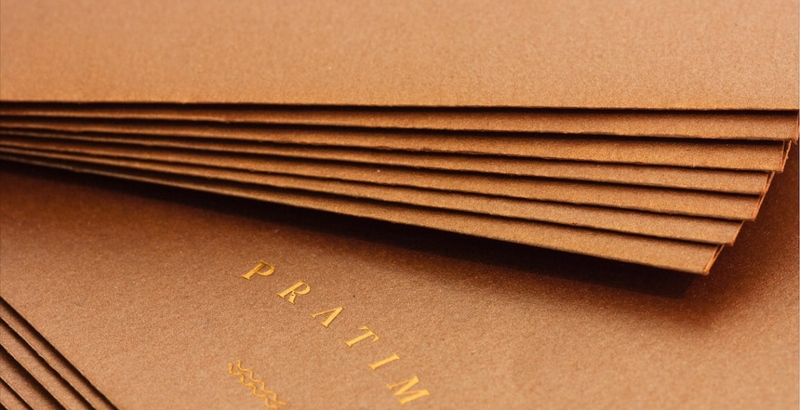 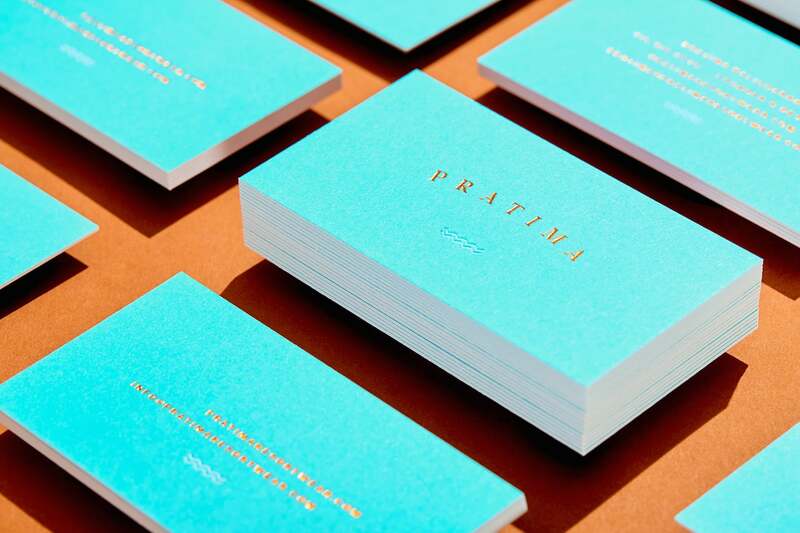 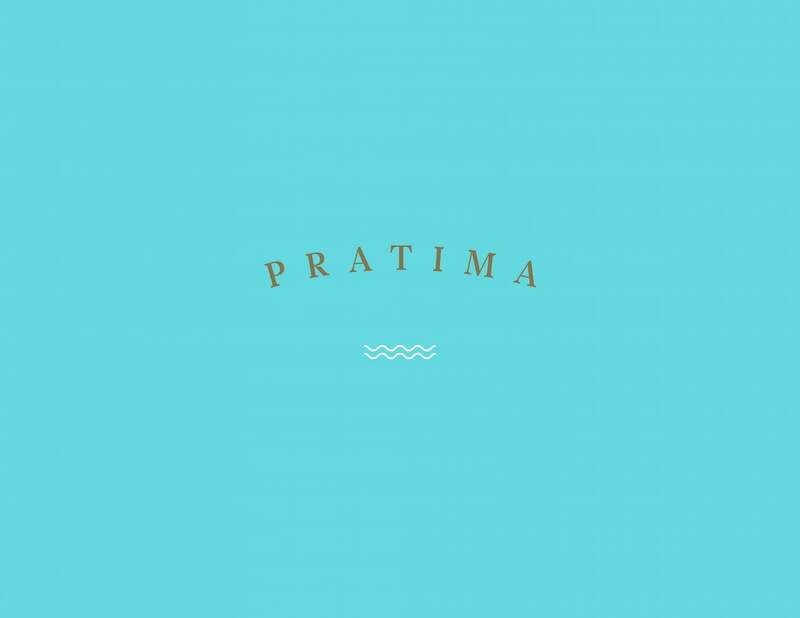 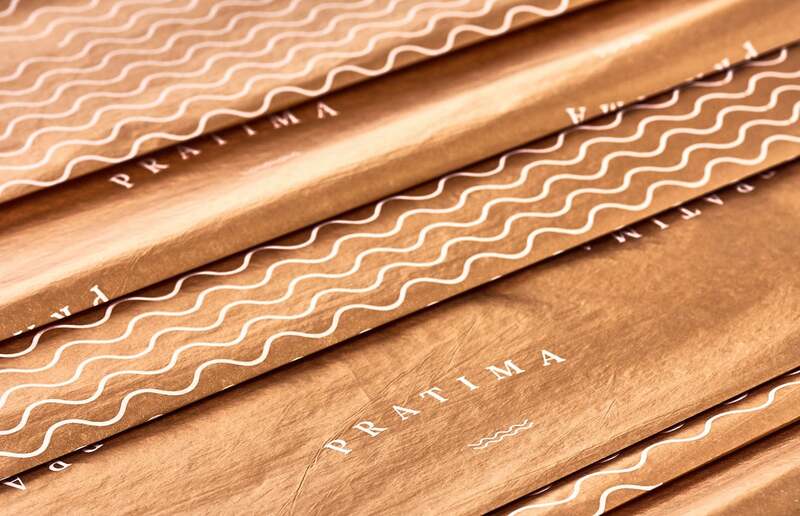 TWR designed and branded the label of Pratima, a luxury resort-wear clothing line. 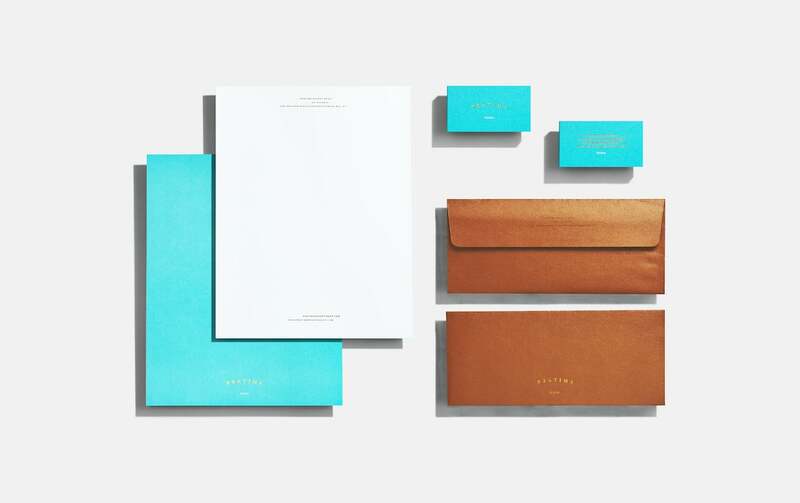 As well as producing a complete campaign shoot for the brand, TWR created a sophisticated, classical identity and designed print collateral, packaging and e-commerce materials. Our word mark consists of slightly arched lettering over undulating lines to suggest the sun rising over water. 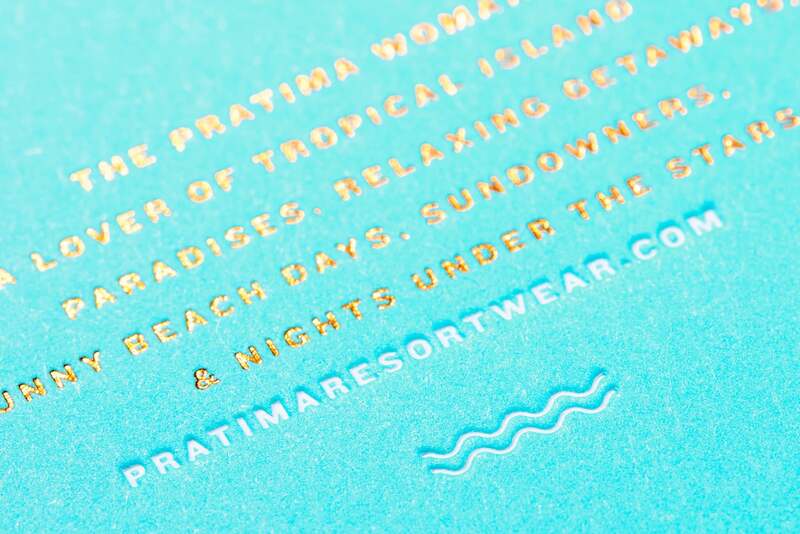 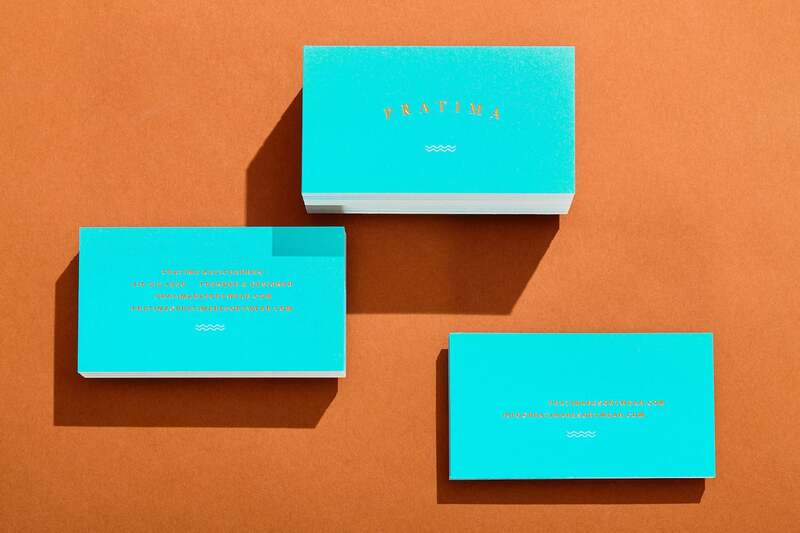 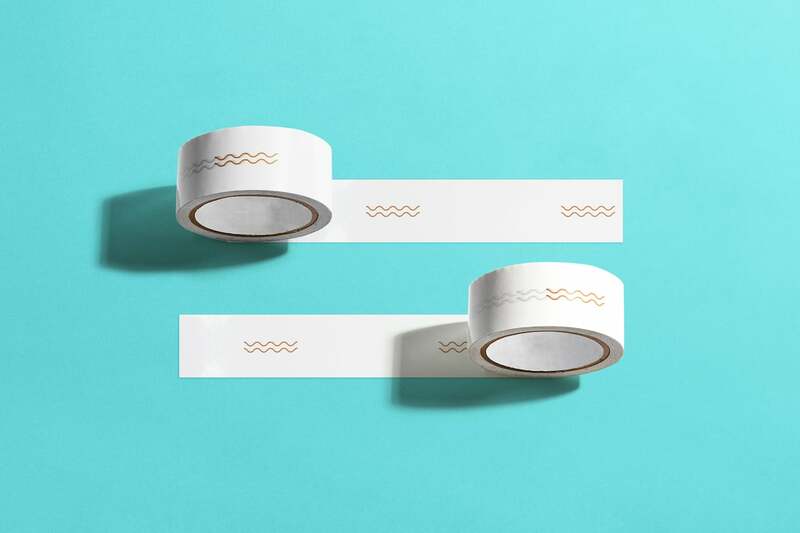 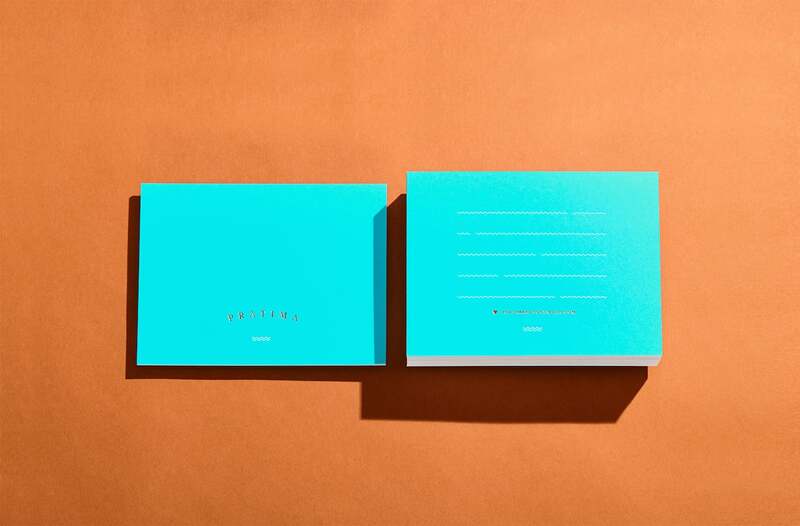 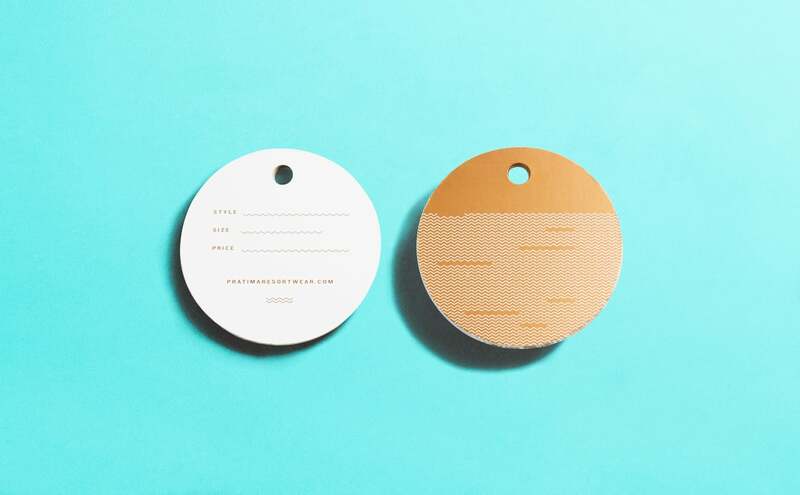 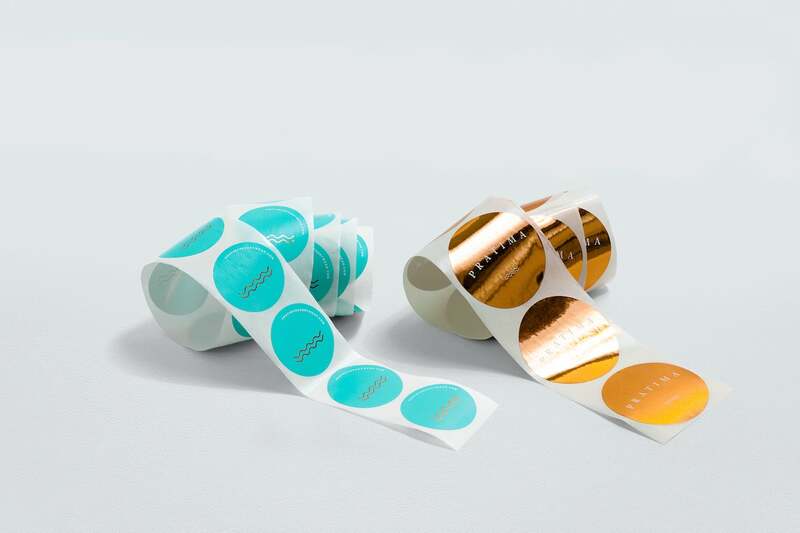 The use of letterpress and foil conveys a sense of luxury consistent with tropical island paradises, relaxing getaways, sunny beach days, sundowners and nights under the stars.